Professor dr. juris Tone Sverdrup has a Degree in Economics and Business Administration (NHH Bergen, Norway 1972) and a Master degree in Law (University of Oslo 1977). She was admitted to the bar in 1984. In 1997 she obtained her Doctoral degree in Law. 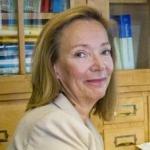 Since 2000 she is Professor of Law at the University of Oslo. Her main fields of research are family law and property law. 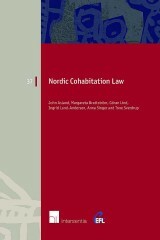 As author she wrote several books in family law, among others a monograph on co-ownership in marriage and unmarried cohabitation, and – together with professor Peter Lødrup – the text book on family law used in the Law Faculties in Norway. She also co-edited and co-founded Norway’s leading journal on family law (“Tidsskrift for familierett, arverett og barnevernrettslige spørsmål”, Gyldendal). In three periods (2006-2009) she was acting in the Supreme Court of Norway. She is member of the Expert group of the Commission on European Family Law (CEFL) and the Executive Council of the International Society of Family Law (ISFL), of the International Advisory Board for Child and Family Law Quarterly (England), of the Academia Europaea and of the Norwegian Academy of Science and Letters.